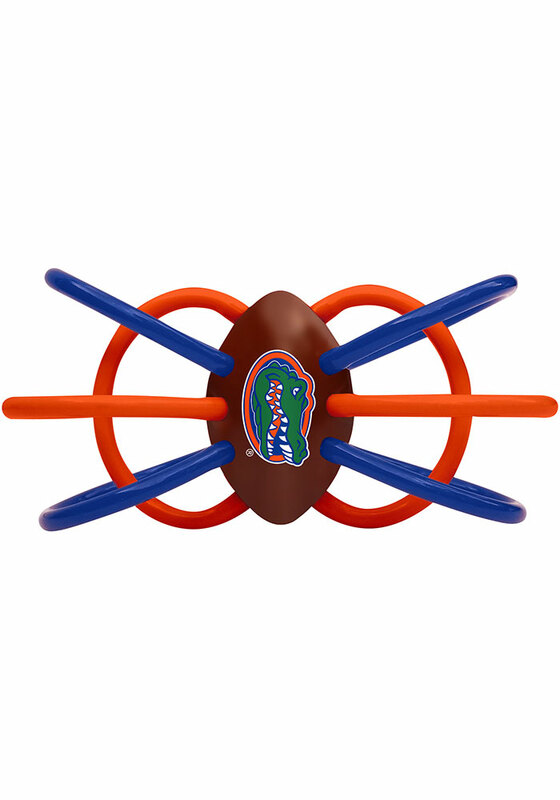 Dimensions: 6" x 2.5" x 4.5"
Your little Gators fan will love showing their team spirit with this Florida Gators Teether Baby Rattle. This Baby Rattle features a University of Florida logo. This Teether's maze of soft tubes and stunning colors instantly capture baby’s attention. The BPA free teething loops make this toy perfect for teething or gumming babies and can be refrigerated to provide soothing relief to sore baby gums. Suitable for newborns and up.